WOW! FREE Apprenticeship Assemblies for Cheshire Schools! We’re hosting free ASK Apprenticeship Assemblies for Cheshire schools, sign up now! Apprenticeship Support and Knowledge in Schools is an initiative, commissioned by the National Apprenticeship Service and the Skills Funding Agency. The initiative aims to support the government’s target of achieving three million apprenticeship starts by 2020. BL Training, as lead provider for the North region, are offering free “inspirational and engaging” apprenticeship and traineeship support to schools and colleges that have pupils in year 10, 11, 12 and 13. They have enlisted the support of several delivery partners including All About STEM, who are dedicated ambassadors of apprenticeships and traineeships. All About STEM are proud to be offering this service to select schools in Cheshire! 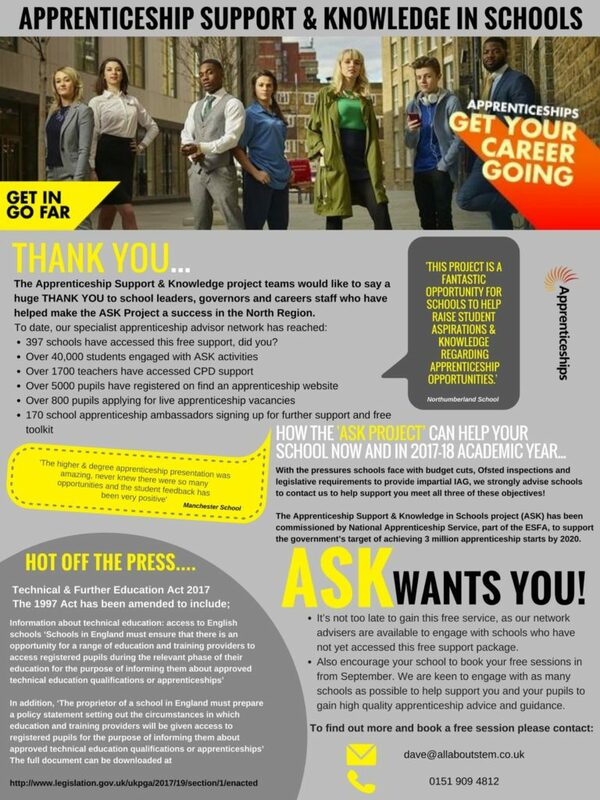 The ‘Apprenticeship Support & Knowledge’ project delivery partners work with teachers, careers advisers, parents and governors, to ensure they meet their statutory duty of providing impartial information, advice and guidance on education pathways and career options, particularly apprenticeships and traineeships. 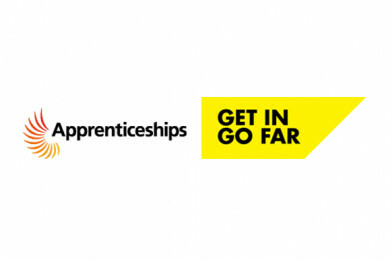 The support includes providing group assemblies and information sessions, signing students up to find an apprenticeship, apprenticeship application workshops for students and apprenticeship champion training for careers advisers and teachers.